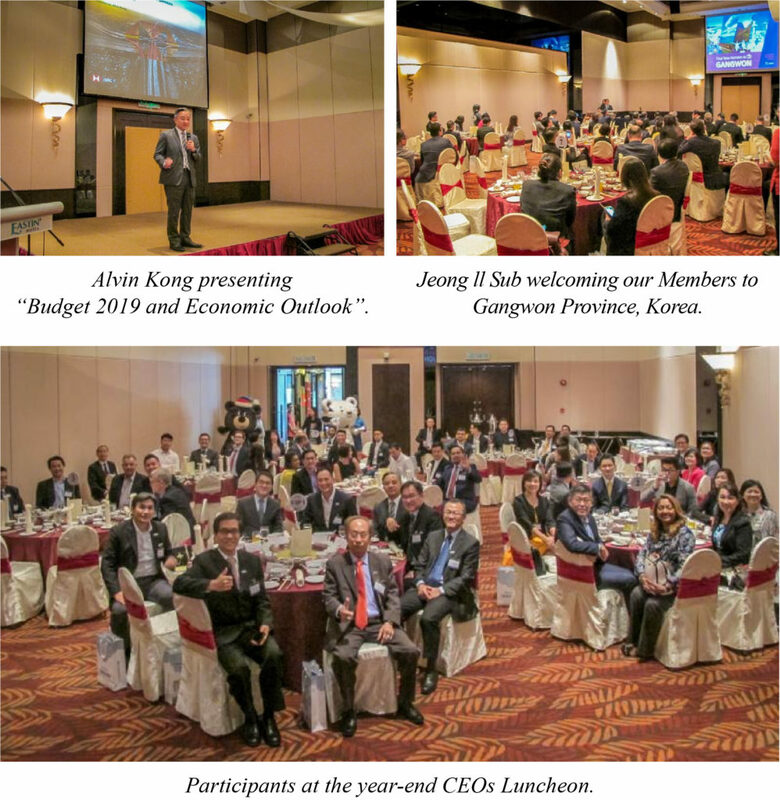 The year-end CEOs Luncheon was held at Eastin Hotel on November 29, 2018 with the attendance of more than 70 CEOs and company leaders. The topic for this event was “Budget 2019 and Economic Outlook”. After a brief welcome by DSAM President Datuk Tan Chong Guan, Alvin Kong, HSBC’s Managing Director & Global Markets Head presented the topic of the day. He kicked off with an overview on the current Global and Asian outlook, including the US / China situation before focusing on the Malaysian economy and the outlook for 2019. Jeong ll Sub, Chief Director of Tourism Marketing Department of Gangwon Province was next to welcome the members and presented on key attractions and benefits to Members who intend to organise incentive trips to that province.